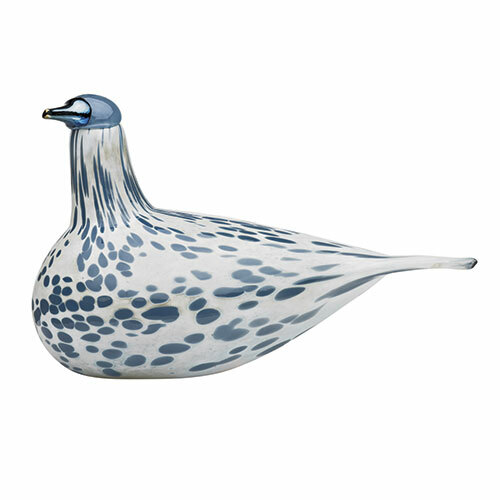 More about iittala Toikka Mistle Thrush 2013 Annual Bird A speckled beauty, the iittala Toika Mistle Thrush captures your attention with an opal-grey body and periwinkle spots. 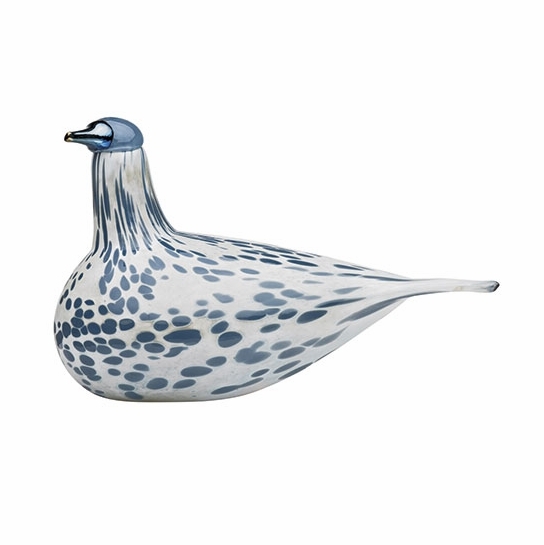 As with most of his annual birds, artist Oiva Toikka instructed that a special technique called fire staining be used when creating this bird.This unique process creates misty surface which adds dimension and mystique to the bird's plumage. The elongated neck and tail, rounded blue head and slender iridescent beak give the bird a proud presence. Known in the wild for their unmistakable siren song, the beauty of this bird silently calls out memorizing all who look at it. This bird was only produced in 2013.